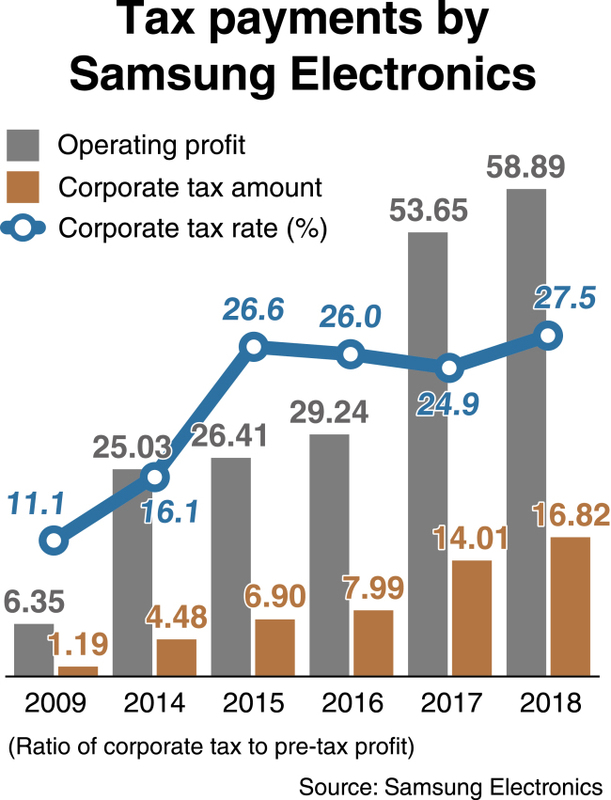 Samsung Electronics is expected to cough up some 16.8 trillion won ($15 billion) in corporate tax this year, its regulatory briefing showed. This is up 20.1 percent from the previous year, and 2.4 times the number from 2015. The record-high tax was attributable to its all-time high operating profit of 58.9 trillion won fueled by the memory chips sector boom last year, coupled with a revised tax code that raised the maximum tax rate from 22 percent to 25 percent for companies with over 300 billion won of taxable income. The final amount of corporate tax will be confirmed in April.